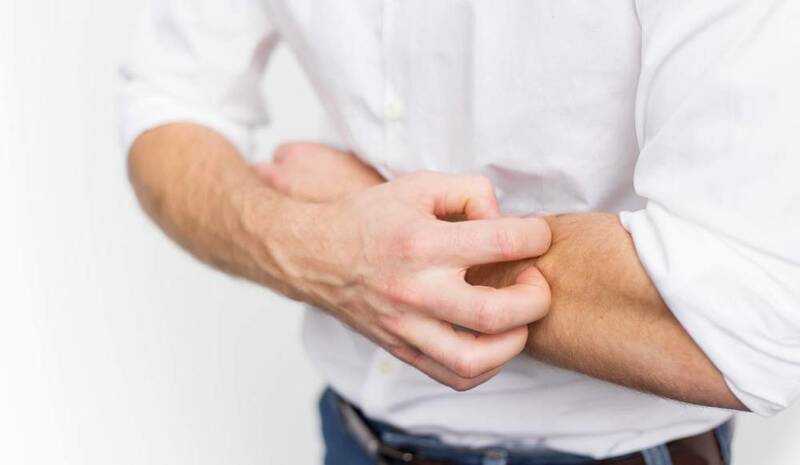 If you suffer from eczema, you know how irritating and uncomfortable it can be. I only have a mild case myself but my son is unlucky – he has itchy, inflamed patches of skin almost all the time. I’ve tried everything to help him, but even using medicated creams doesn’t provide a long term cure. I’m thankful for over-the-counter medicines when the itching becomes too much, however, I don’t like to use them for my son every day – or even every week. I prefer natural remedies, so when I read that essential oils might help ease eczema symptoms, I was excited. 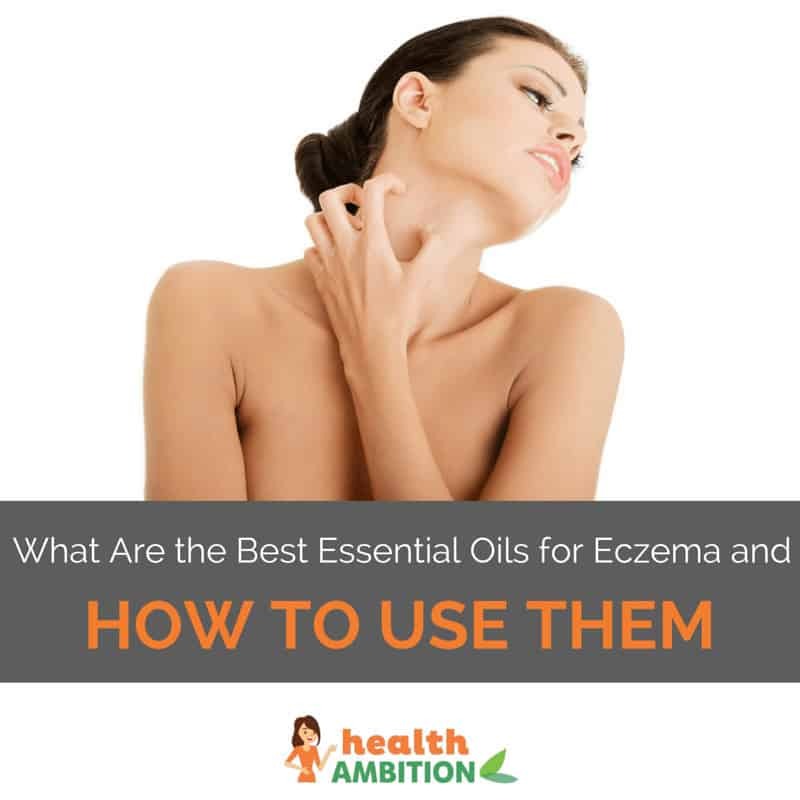 Let me share with you the best essential oils for eczema and how to use them. Eczema can appear at any age and on any body part, but it’s usually found on the arms, legs, knees, elbows, cheeks, and forehead. (source) Unfortunately there’s no cure for eczema at present but symptoms can be reduced by using products which add moisture such as emollients and medicated creams. Each person will have different triggers for an eczema flare-up but it’s vital that you identify and avoid yours. Try to use neutral, unscented shower products and soaps and always use gloves when using household cleaners. Tea tree oil has been used in Australia for hundreds of years as a natural remedy for cold symptoms, wound healing and infections. Its antimicrobial powers will help kill any bacteria that could trigger an eczema outbreak. The Journal of Investigative Dermatology discovered that it even helps fight MRSA! Powerful stuff. Most essential oils should not be applied directly to the skin as they are very concentrated and can cause irritation. Therefore you must use what’s called a “carrier oil”. Carrier oils are neutral, usually odorless oils that literally “carry” the essential oil to where it’s needed. Omega-3 fatty acids help boost your skin’s protective barrier, keeping it soft and supple. (source) Oils with high antioxidant levels may also be beneficial for eczema sufferers. Add 6 drops of essential oil with 2-3 tablespoons of carrier oil to a warm bath and soak for 30 minutes. To relieve itch, add 2 drops of essential oil to a bowl of cool water. Stir to distribute and then soak a cloth in the mixture. Squeeze the cloth out until damp and apply to the affected areas. Find a small spray bottle and add 10 drops of essential oil and 5 tablespoons of carrier. Make the rest up with water. Shake vigorously before use. Add 20 drops of essential oil to 8 ounces of unscented lotion. Shea butter and Vitamin E Cream are good options. 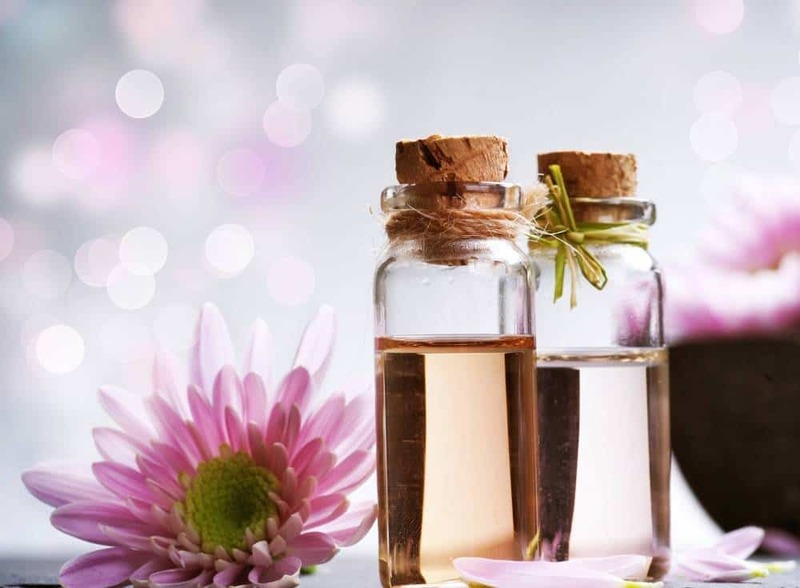 Now that I’ve given you the resources regarding the best essential oils for eczema and how to use them, I hope you have fun experimenting and making up your own oil lotions and potions. Remember that we all have slightly different skin properties so the same remedy won’t work for everyone. Always do a patch test before trying any of the above on a large area of skin. What is the Best Shampoo for Psoriasis in 2019? What is the Best Scalp Eczema Shampoo in 2019?